As you all know, I talk a lot about fashion and beauty here on my blog but today I thought I would switch it up and talk about something a lot more important than those two things: skin cancer. Back when I was in middle school, I remember reading an article in a magazine about tanning beds and how it leads to premature aging, dark moles, and ultimately cancer. Seeing the images of young girls with scars from getting moles removed, I vowed right then and there that I would try to prevent that from happening to me. Growing up, my parents would always make me put on sunscreen if I was going to be outside for a long time. On top of that, living in a city that doesn't get much sunlight, I didn't have much to worry about when it comes to the sun. But tanning beds? They were so trendy in high school and I briefly wondered what all the fuss was about but kept the promise to myself to never try it. I'm glad I didn't because not only do I look younger than my age (I swear I haven't aged since I was 13!) but I've significantly lowered my risk of skin cancer. One less problem to worry about as a busy college girl am I right? 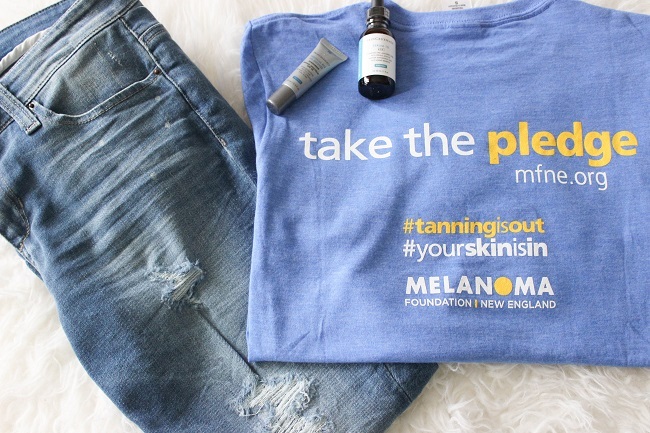 That's why I'm excited to announce that I've partnered up with the Melanoma Foundation in order to raise awareness about the Your Skin Is In campaign. The campaign is a pledge based program that encourages young adults to protect their skin. Why young adults? Because Melanoma is the second most common form of skin cancer for young adults ages 15-29. The sad part is that it's preventable yet people are still practicing unhealthy habits such as tanning beds. Trust me, there's nothing hot about wrinkles, sun spots, scary looking moles, and did I mention cancer? On top of it, tanning beds are more damaging than the sun! Crazy. I prefer having clear, cancer-less skin while also looking younger than everyone else (even though it annoys half the time right now!) which I'm sure will come in handy when I'm 45 yet look like I'm in my 20's. Don't you think? I hope this post inspired you to take the pledge and protect your skin. You're only living life once, might as well have beautiful, healthy skin! 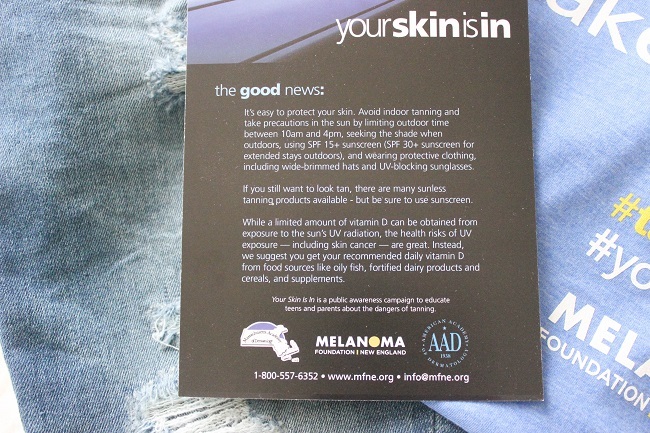 As a melanoma survivor, I love this campaign! Mine surprisingly wasn't sun related, but it definitely inspired me to take better care of my skin! I avoid sun like the plague now. I'm sorry to hear that! I hope you're feeling better now. I agree, it's better to completely avoid it than to risk getting sick again.